Church of England to Consider Female Bishops, Blessing Gay Unions: What Would Wesley Do? The Archbishop of York, John Sentamu, has additionally expressed his belief that the Church should support civil unions, which is another issue that is expected to be brought for debate at the General Synod. The drastic changes on issues that until recently were considered fundamental leaves orthodox believers, especially those who consider themselves Anglican, pondering how to react, and torn between their loyalties to the Church visible and invisible. Should they remain associated with such an institution, or secede to form a new Church? Fortunately, this is not the first time in history that men have struggled with the question, and the Anglican tradition provides examples of many great men who wrestled with their own church and managed to leave remarkable theological legacies as a witness to those of us who follow in their steps. While visiting various churches across England, the legal theorist William Blackstone once remarked that he “did not hear a single discourse which had more Christianity in it than the writings of Cicero.” Incidentally, this was around the time John Wesley began his ministry. Wesley is of course, remembered as the theological father of the Methodist church. However, Wesley died considering himself to still be a member of the Church of England. In fact, on the day he delivered his first outdoor sermon, Wesley recorded in his journal his hesitancy to preach outside of a church building, as he feared true salvation could not be found outside of the established Church. Wesley supplied many reasons for remaining in the Church, and among those he listed the importance of unity, to ensure that unbelievers would not be turned away from the Gospel because of inner strife. However, perhaps most interestingly, Wesley mentions the mission of the Christian. He claims the first duty of the Christian minister in England is “to the lost Sheep of the Church of England.” Wesley saw the mission field not just as something across the ocean, but also as beginning right at home in his own Church. The Anglican philosopher Roger Scruton has described the Church of England as “a church which takes its historical nature seriously, acknowledging that its duty is less to spread the gospel among mankind than to sanctify a specific community.” Indeed, the Anglican Church’s link with the English community is deep, and its influence is impossible to deny even in the present. The Book of Common Prayer and The King James Bible, for instance, have both had an immeasurable impact upon the English language and culture. The Church is undoubtedly an English Church. This of course, also leads to the question of what is a believer to do when confronted with a Church that is linked to an ever increasingly secular state. The House of Bishops of the General Synod has noted that “Parliament is impatient” in regards to the issue of women’s ordination, and that the longer the Church delays in enacting the legislation, the greater the risk that Parliament will intervene. Eliot shared Wesley’s and Scruton’s belief that the church should minister to a specific community, and that it should endeavor to comprehend the whole of that community. If the state is becoming increasingly secular, then it now more than ever needs the influence of the Church. If the Church is becoming increasingly liberal, then it now more than ever needs the influence of the orthodox. 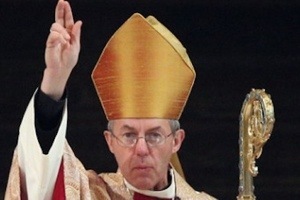 If the Church of England will not minister to England, then who will? Many today will likely see the approval of gay-unions and the consecration of female bishops as such a central tenant of the faith. Whether it is an error large enough to justify secession, I confess I do not know. I have endeavored merely to show that there are many Anglicans of immense stature who have grappled with the question of secession. In doing so, they serve as a light and guide to those facing the same question today, and almost uniformly remind us to ask ourselves whom it is we are to minister to. I don’t know what Wesley would do but a large part of the Methodist Church would be right at home with these changes.